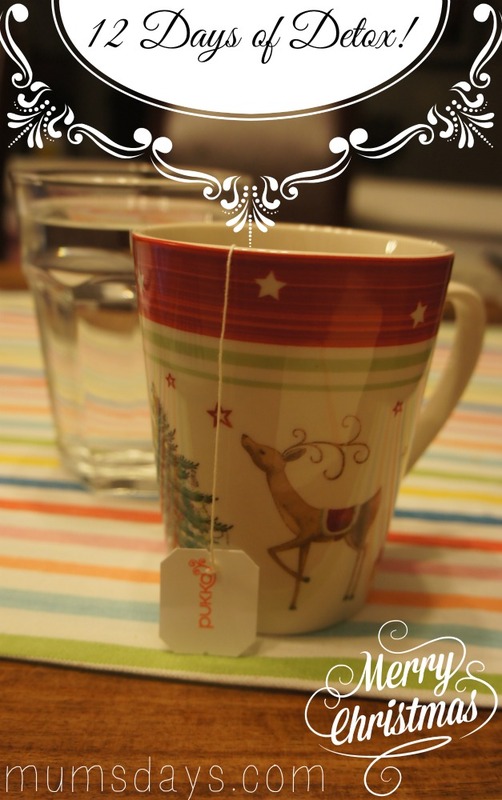 I’m into Day 4 of the 12 Days of Detox and I’m already behind on sharing my thoughts! But actually I find that the themes for Day 2 (Exercise) and Day 3 (rituals and routines) fit together quite nicely so we’ll pretend this is intentional. The big question I’ve been left with is Do I have a TV addiction? I will answer this tricky question on Day 3 below! So, as a recap on Day 1 of the 12 Days of Detox I covered the Detox Diet, which I would encourage you to have a read of. Now I’m past Day 3 I can tell you I’m feeling better already just from cutting out a few things and focussing on drinking loads of water and herbal teas! So how does exercise fit into the Detox? For me it is more about mind than body, although the two are so closely linked it’s hard to differentiate. However, after a decent workout or walk or general move of my body, it is my mind that feels clearer. Detoxed, if you will! I have a bit of a weird relationship with exercise and to put my current situation into perspective, I did more exercise when I was pregnant than I was doing up until a few weeks ago!! That is ridiculous. 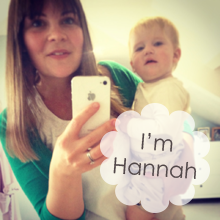 But back then my focus was simple, I wanted to be the happiest and healthiest I could be by the time Reuben was born, and part of that mission was to exercise 30 minutes everyday. I would do all sorts from weight training to walking to cross trainer to exercise DVDs in my living room! I listened to my body and moved whichever bit felt right. So when I stopped being able to walk comfortably, I would swim or go on the bike at the gym. With birth a distant memory, my focus moved to different things; my career, surviving sleep deprivation, being a housewife, etc. The amount of exercise I do now tends to ebb and flow with my focus on a weekly basis. If we’re going on holiday I do it more, if it’s coming up to Christmas…not so much! It is something I class as a “should” do rather than a “must” do and, therefore, it’s easy to sideline in favour of something far more important…like the dishes or watching I’m a Celebrity! However, what I forget is that exercise has a big impact on my well being. You could almost plot a chart (in fact I have done!) 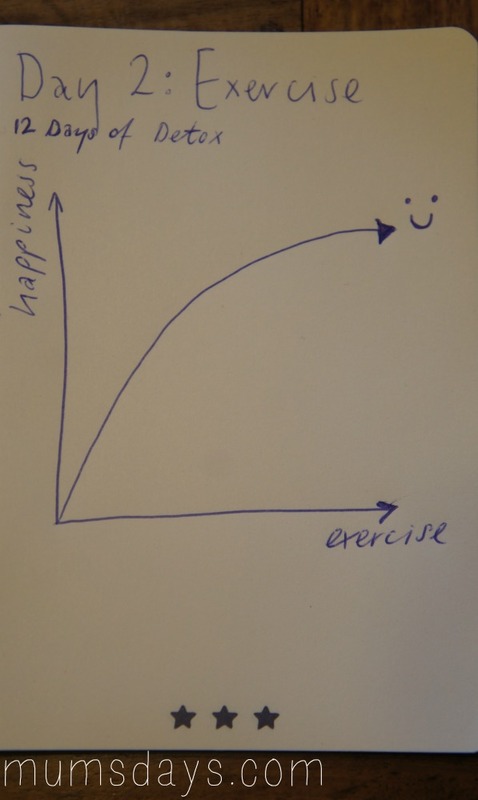 that shows how my happiness increases with exercise!